An 8th grade boy was doing some research for his career report at school. 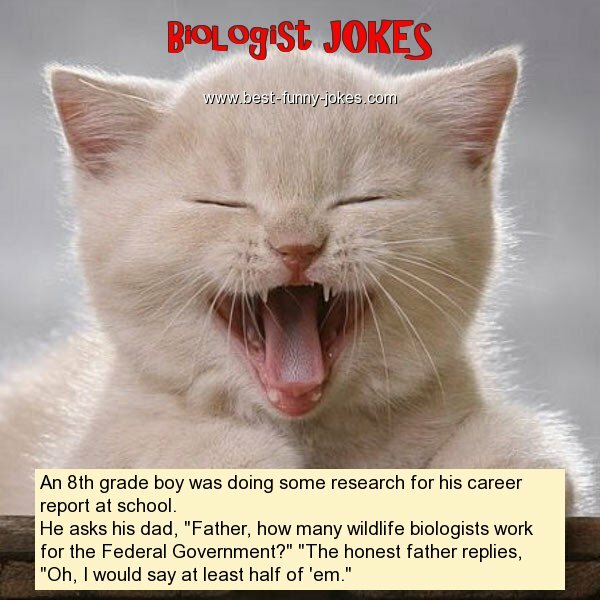 He asks his dad, "Father, how many wildlife biologists work for the Federal Government?" "The honest father replies, "Oh, I would say at least half of 'em."